We did it again! Past November 14 we hosted our second TEDx event, completely and independently organized by us. The focus this time was Reversing the Implosion, meaning we explored ideas and projects which tell us how to get out of the big crisis of the last 7-8 years. The emphasis was all local but we believe the talks will all have global impact and will be prone to inspire everywhere. 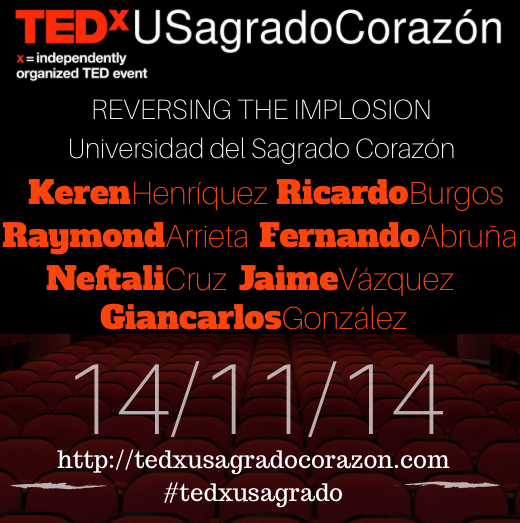 All the conference were Webcast via Livestream on the same TEDxUSagradoCorazón website, where the program and all the information can also be found. The conference was in Spanish, and later all the talks’ videos will be uploaded to TEDx’s YouTube Channel, as well as here, hopefully with English subtitles. I can say I am happy and proud of my group of people who can invent, plan, organize this. We’ve had a lot of fun! Here’s a gallery of photos taken during the day. 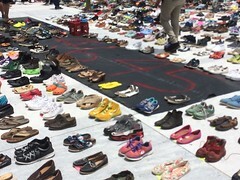 This entry was posted in events and tagged stemmed, talks, tedx. Bookmark the permalink.